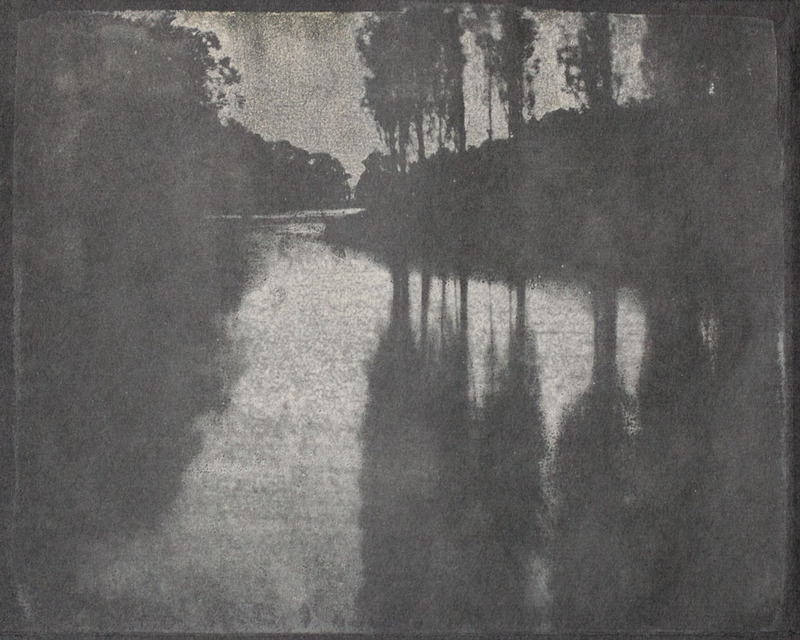 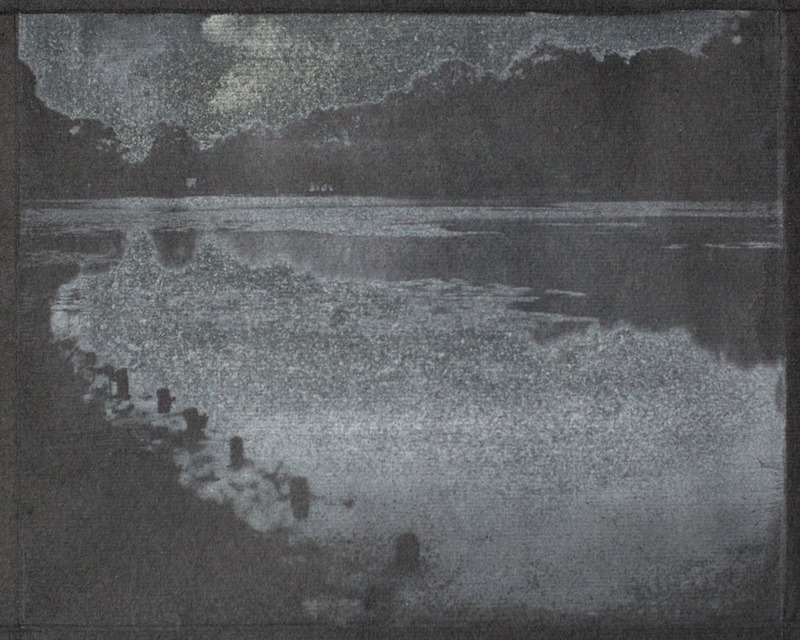 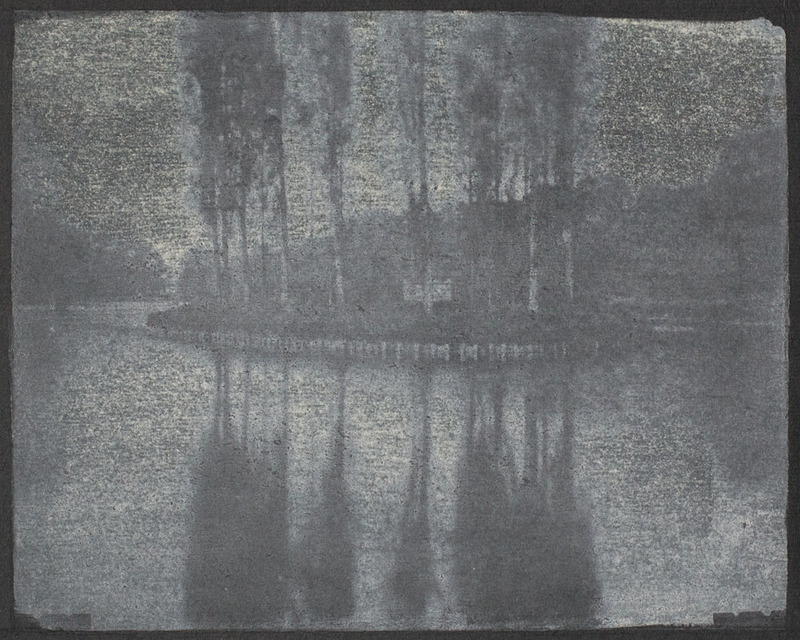 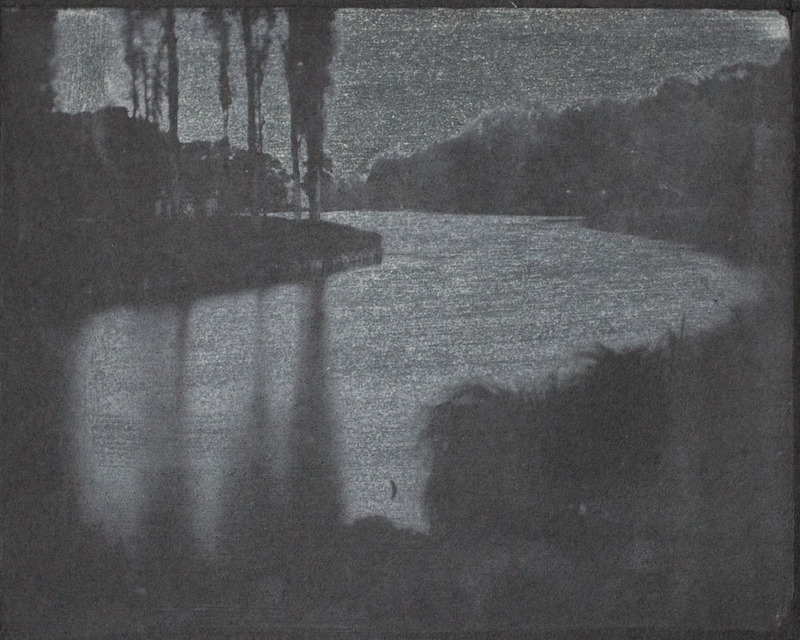 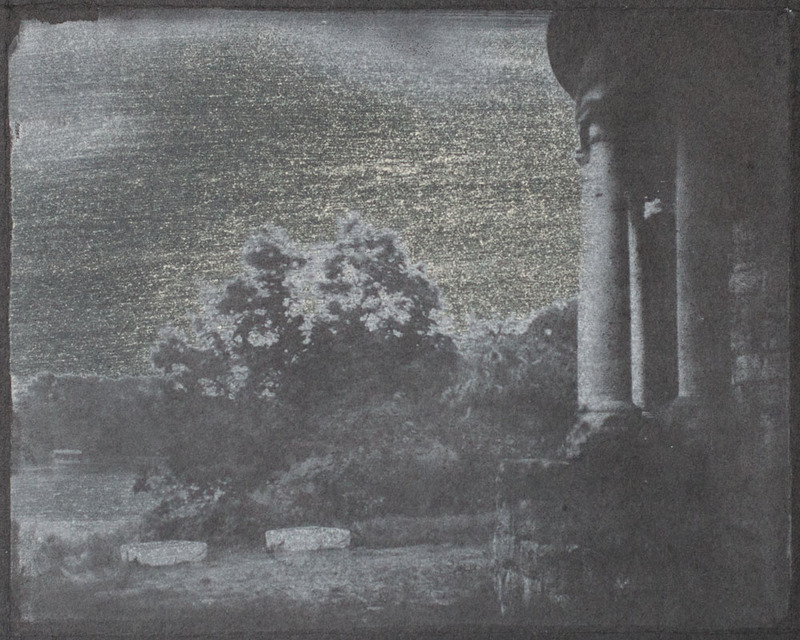 The project explores the idea of deep time in specific geographical and cultural contexts, using an experimental photographic technique developed by the artist. 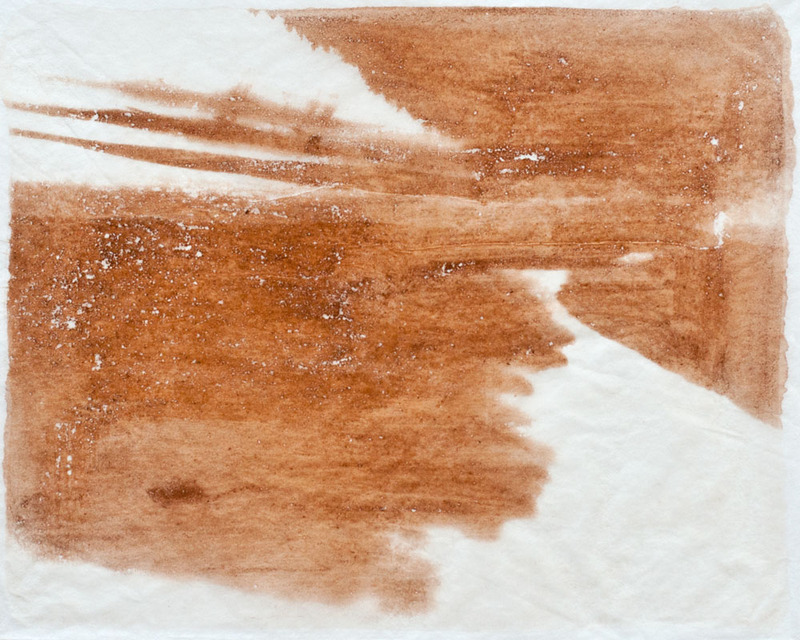 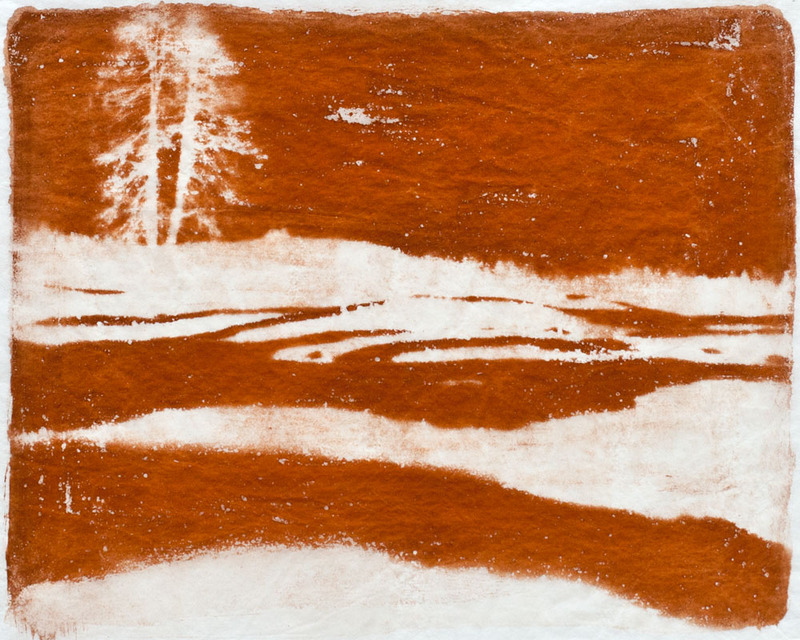 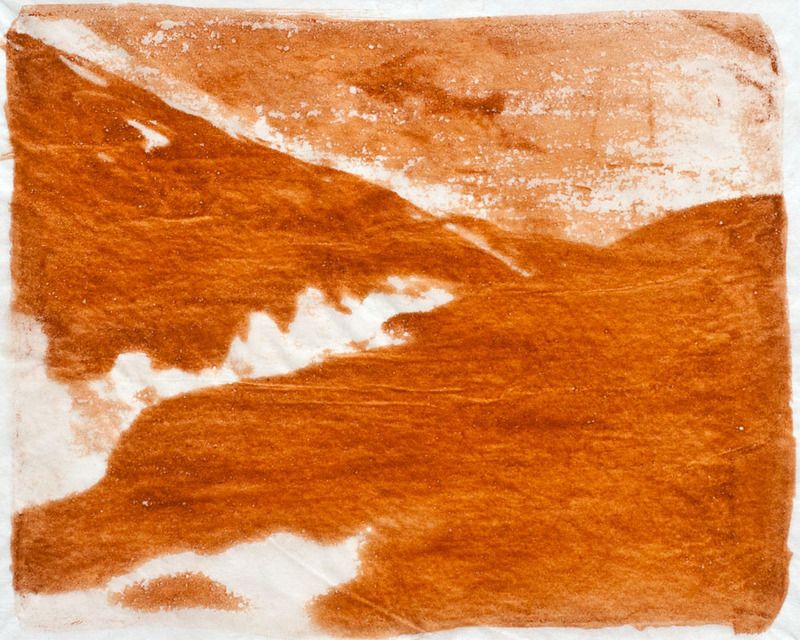 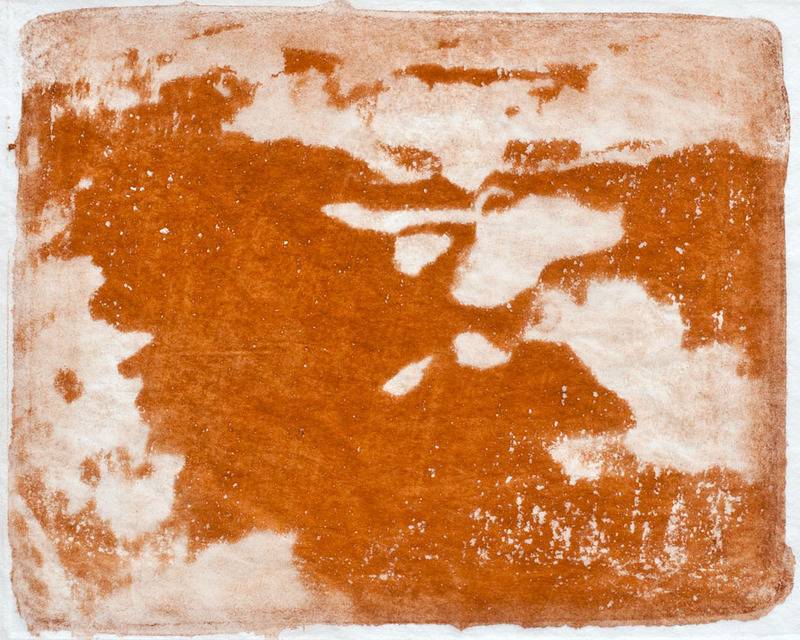 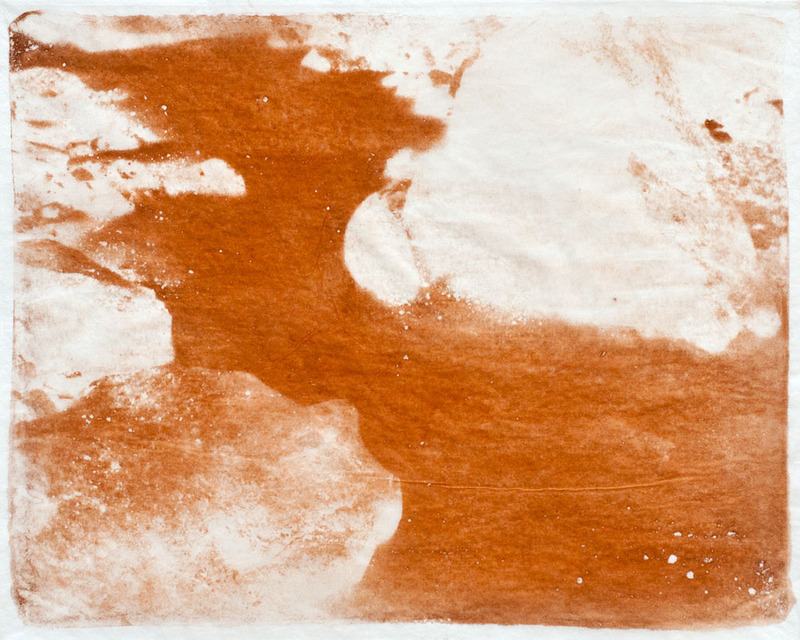 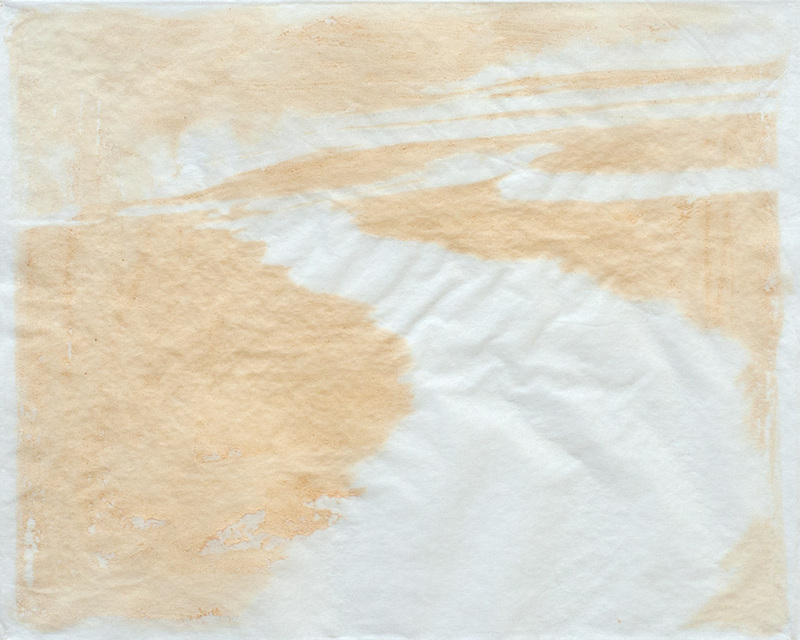 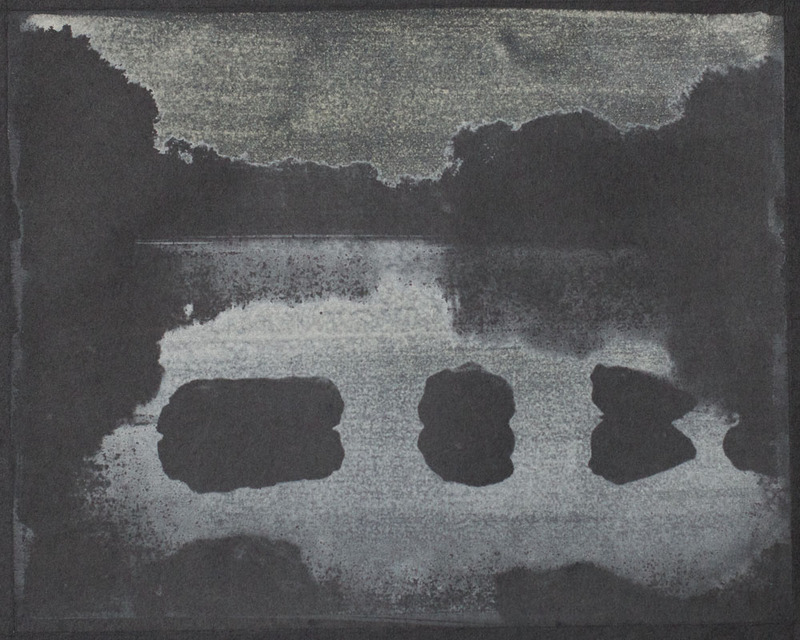 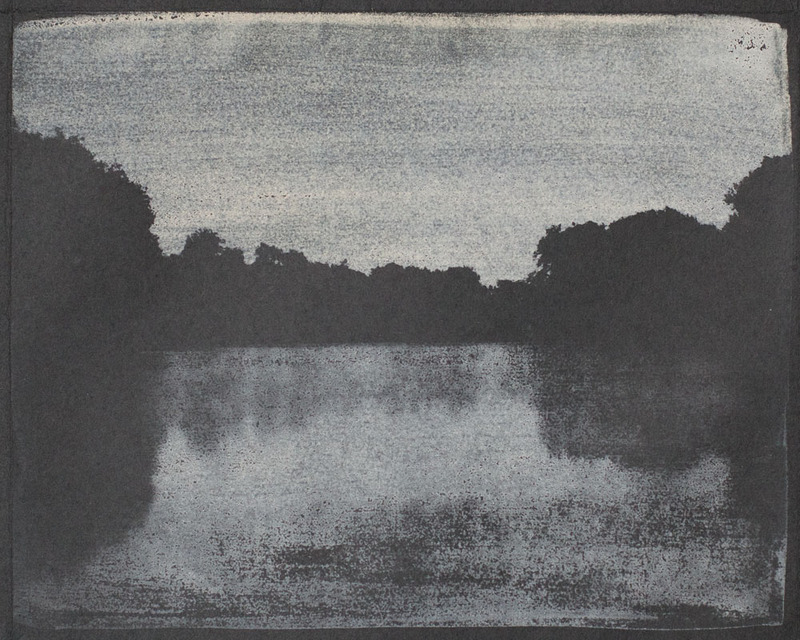 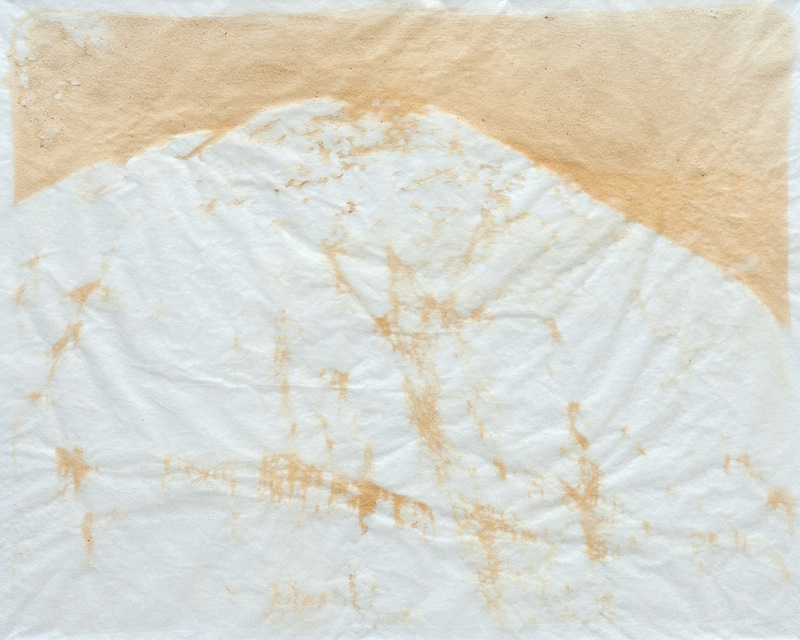 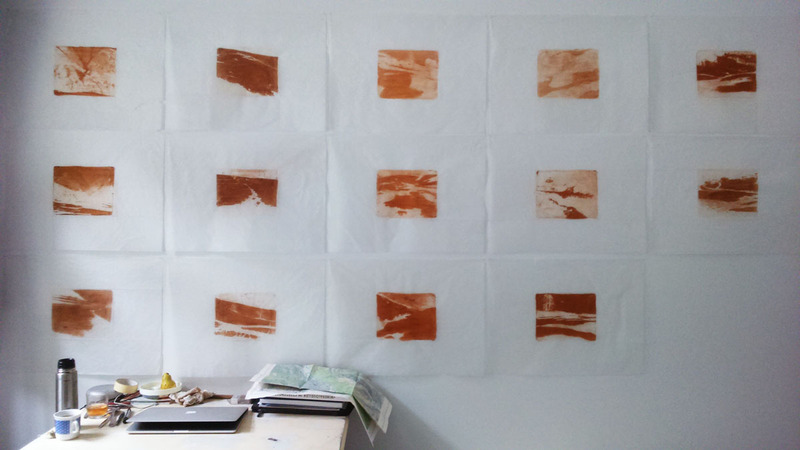 Site-specific natural materials such as rock, soil or mineral sediments are ground to powder, mixed with a light-sensitive substance, coated onto paper and exposed in a self-constructed large format camera for several hours. 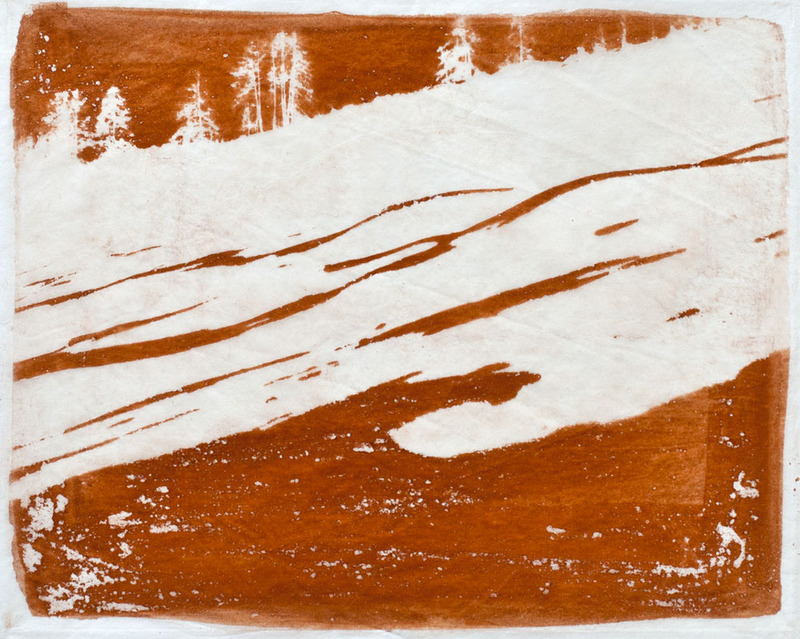 In the Lower Engadin the artist used minerals from each of the numerous water springs the Swiss region is famous for to make nearly abstract photographs of the landscape. 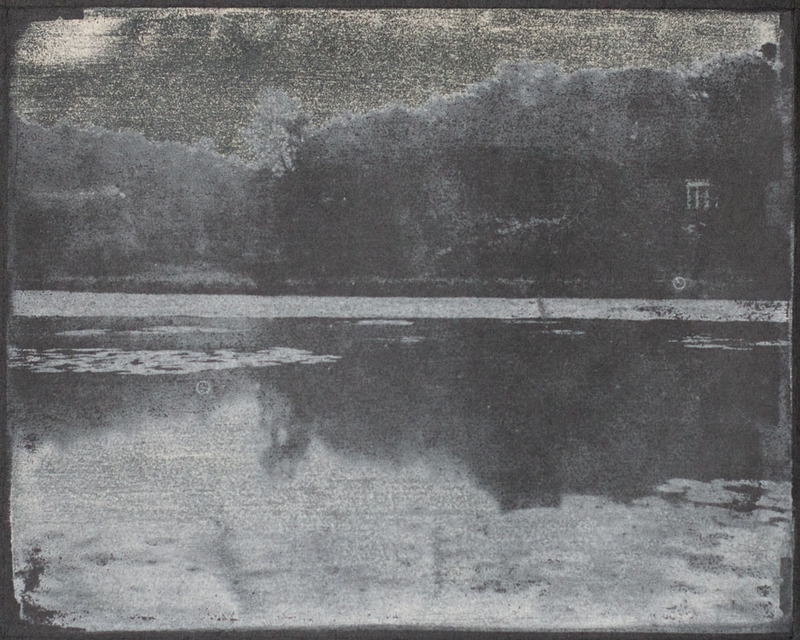 In the Oise region of France, she used Lutetian limestone utilized in the 19th c. modernisation of Paris to photograph Parc Rousseau, an 18th c. picturesque garden exemplifying the ideals of the Age of Enlightenment. 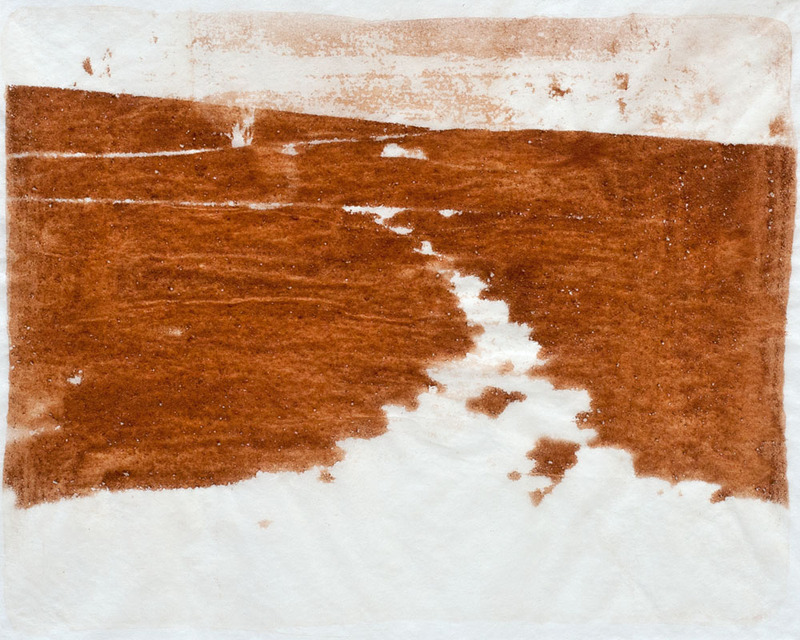 In North Holland, she performed a walk from Starnmeer polder to the coast and back on the longest day of the year in order to photograph the sea using soil of marine origin sourced from the polder.